Kim Sheehan currently directs the Master's program in Advertising and Brand Responsibility brings more than 12 years of experience in advertising and marketing to the School of Journalism and Communication’s (SOJC) advertising sequence. She held leadership positions at agencies in Boston, Chicago, and St. Louis and has consulted for numerous companies, including People magazine and Laura Ashley. She is a past president of the American Academy of Advertising, a five-time Page Center Scholar, and has directed both the Strategic Communication Master's program in Portland and the SOJC Honors program. She is the author of 15 books on advertising, most recently an update of "Hitting the Sweet Spot" with the late Charlie Roberson of Red Spider. Sheehan teaches courses in advertising and brand planning, media theory, and research methodology. She is a prolific researcher examining a range of topics in the digital sphere including privacy, self certifications, and brand mission. · Devlin, Michael and Kim Sheehan (in press), “A “Crucial Catch”: Examining Responses to NFL Teams’ Corporate Social Responsibility Messaging on Facebook” Communication and Sport. · Sheehan, Kim (2018), “Crowdsourcing Communications Research: Data Collection with Mechanical Turk”, Communication Monographs, 1-17. · Sheehan, Kim and Matthew Pittman (2017), “Ethics of Creative Crowdsourcing”, Journal of Business Ethics, 1-11. · Muralidharan, Sid and Kim Bartel Sheehan (2017), “’Tax’ and ‘Fee’ Frames in Green Advertisements: The Influence of Self-Transcendence in Reusable Bag Usage, Journal of Promotion Management, 1-21. · Muralidharan, Sid and Kim Bartel Sheehan (2017), “ The Role of Guilt in Influencing Sustainable Pro-Environmental Behaviors Among Shoppers: Differences in Response by Gender to Messages about England's Plastic Bag Levy,” Journal of Advertising Research, 029. · Kees, Jeremy, Christopher Berry, Scot Burton, and Kim Bartel Sheehan (2017), “An Analysis of Data Quality: Professional Panels, Student Samples, and Amazon’s Mechanical Turk,”, Journal of Advertising, 46 (1), 141-155. 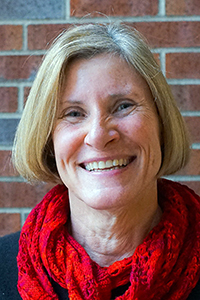 Kim Sheehan teaches courses that bridge the gap between communication theory and media practice. Her research involves culture and new technology, and she has published extensively about social media, online privacy, green advertising, advertising ethics, and direct-to-consumer prescription drug advertising.